Super simple but oh so spooky! 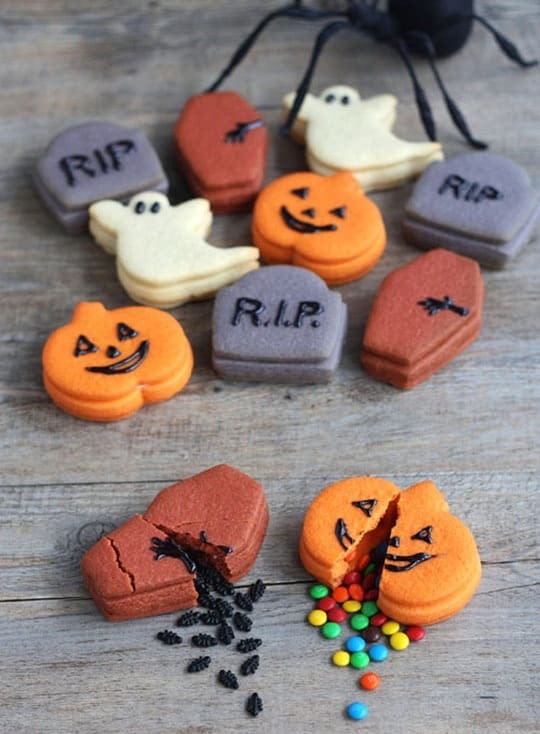 These easy Halloween cookies for kids are perfect for parties or just for sharing at home! Whether you’re throwing a Halloween Party or you just want some tasty treats to eat at home as a family these easy Halloween cookie recipes for kids are super delicious and surprisingly simple to make! We’ve got everything from ghost cookies to Halloween pinwheels, spider cookies and even Paleo friendly witch fingers! 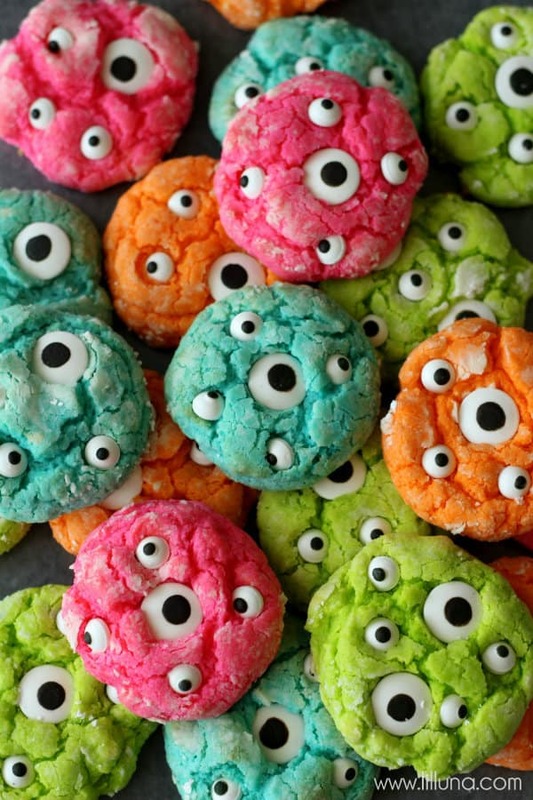 Gooey Monster Cookies – Aren’t these just the most adorable Halloween monster cookies you have ever seen? 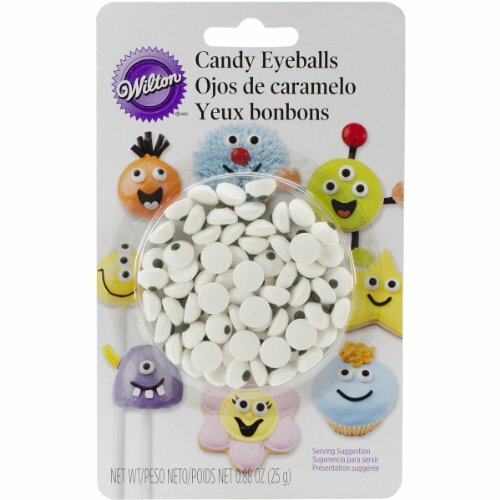 And those eyes are made from candy so you can actually eat them! 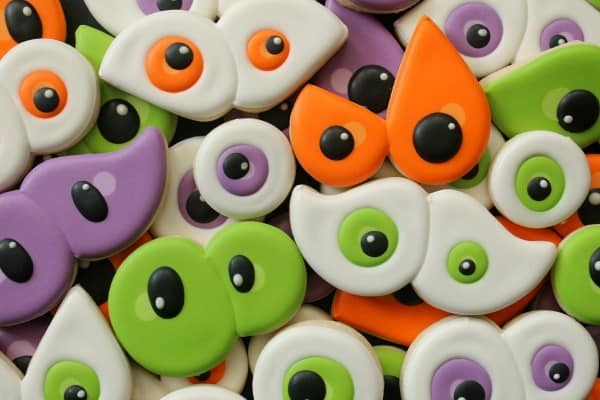 We’re developing a bit of a googly candy eyeball Halloween baking obsession around here! 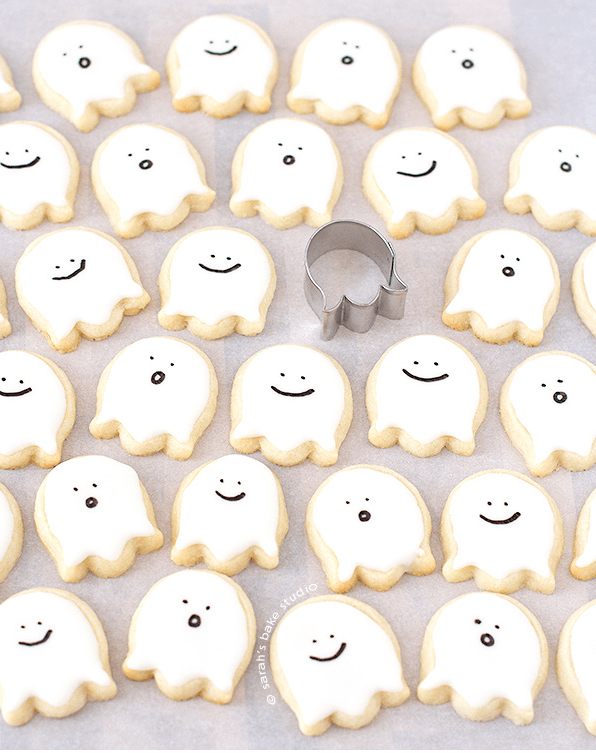 Happy Little Ghost Sugar Cookies – Speaking of adorable… how cute are these little ghosts? I love that she didn’t actually use a ghost cookie cutter but an upside down tulip which is so much cuter! If you’re looking for easy Halloween cookies for kids to make themselves then this is the perfect choice for you. 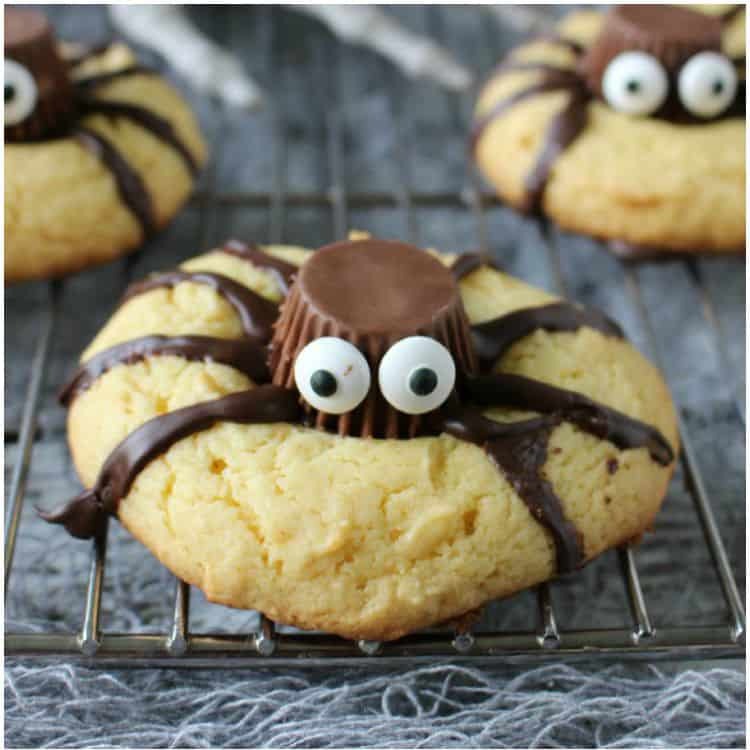 Of course piping chocolate in the shape of spiders will take a little practice… but no one will mind if y’all eat those practice cookies and save the good ones for your guests! 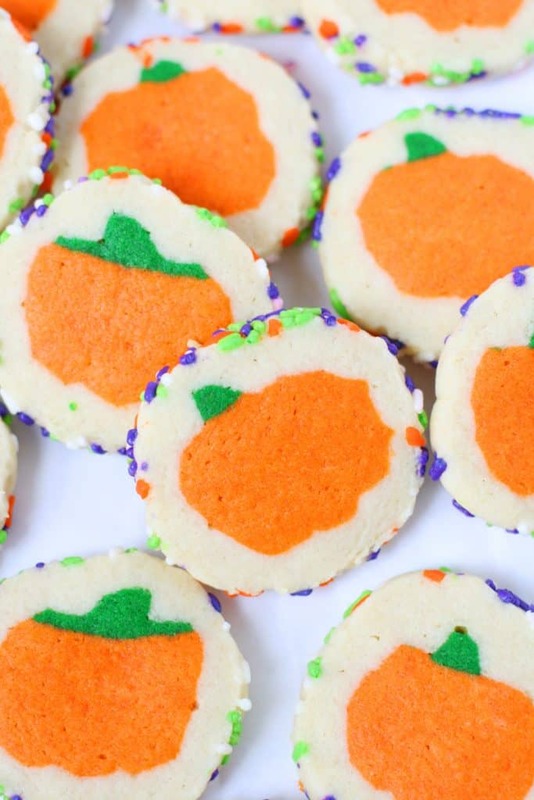 Slice ‘N’ Bake Halloween Cookies – I know what you’re thinking. That’s a picture of a grocery store cookie and there’s no way you could make them at home. Nope. They were made by a mama and she has step by step photos to show you just how simple these slice n bake cookies are to make! 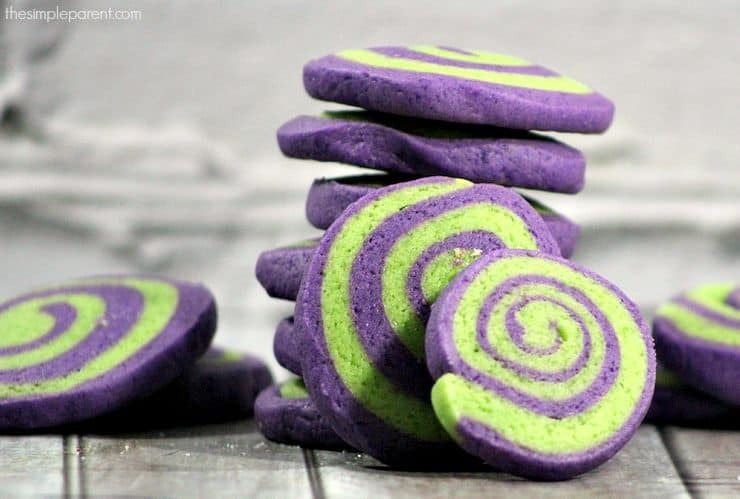 How to Make Halloween Pinwheel Cookies – There’s just something about purple and green that screams monster when they’re put together, and these pinwheel cookies look almost too good to eat! 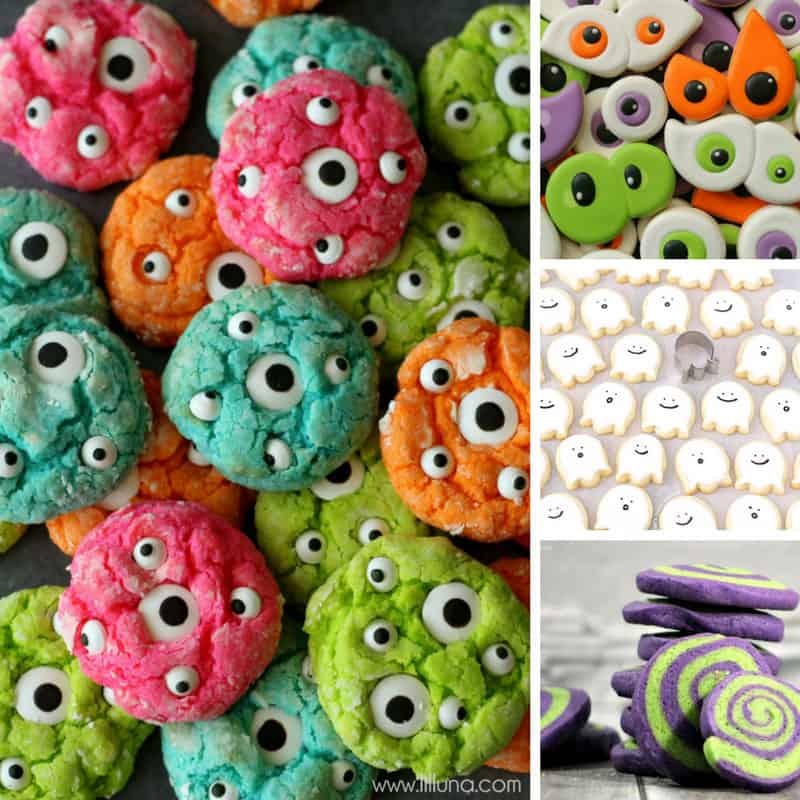 Easy Eyeball Cookies – When we spotted these Eyeball Cookies on Pinterest we knew we just HAD to share them with you! The bright colours are just fabulous and they are so easy to make with cookie cutters you probably already have in your kitchen. 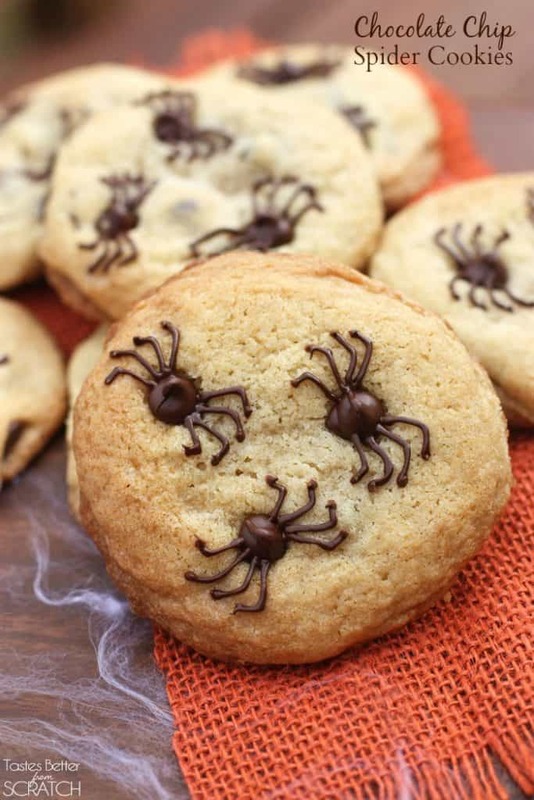 Easy Halloween Spider Cookies – These Halloween Spider Cookies are more sweet than spooky looking so they’re a great choice for younger children. 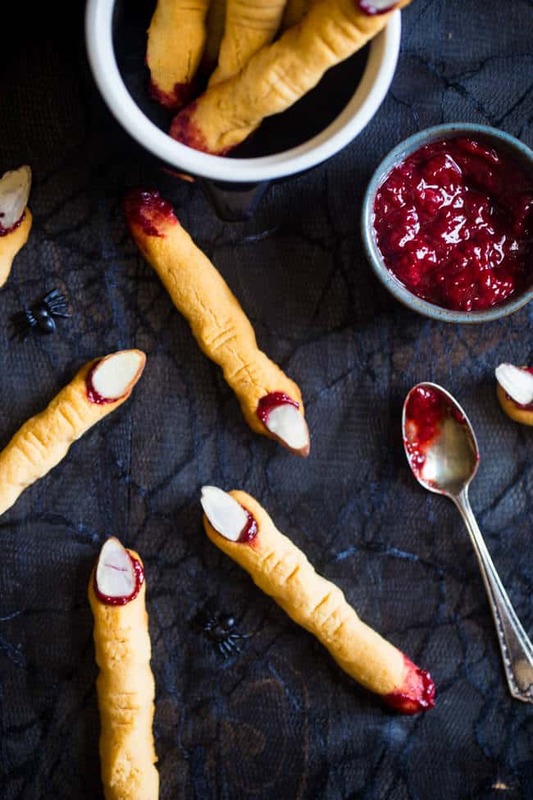 Paleo Witch Finger Cookies – These Halloween cookies are best saved for older children because as witch fingers go they look pretty realistic! They’re perfect if you’re looking for a healthy snack because they are Vegan and Paleo friendly. 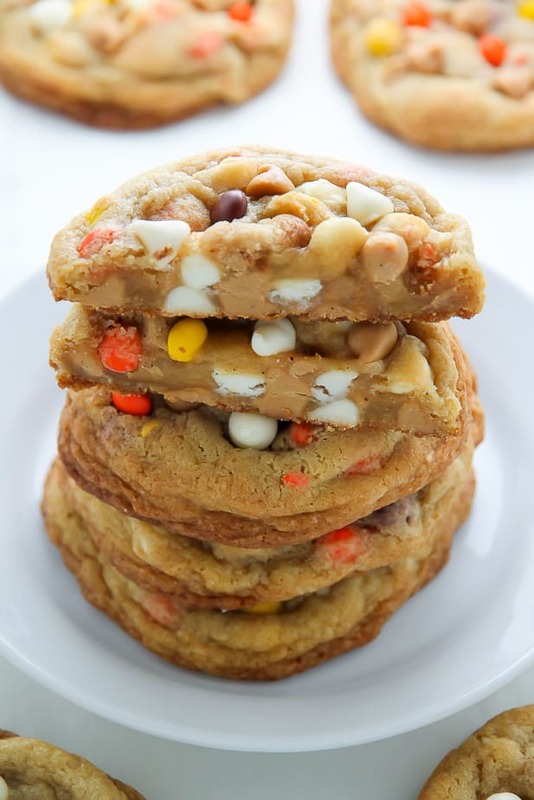 White Chocolate Reese’s Pieces Peanut Butter Chip Cookies – Halloween cookies don’t have to be decorated with spiders and witches. Sometimes all you need is a little orange and yellow to invoke the Halloween spirit. And oh my… would you just look at the inside of those cookies? I want to eat some. Right. Now! Trick-Or-Treat Cookies for Halloween – I think I might just be saving the best Halloween cookies until last… these piñata cookies are just genius! They look like you spent a lot of money buying them from the bakery but with a little bit of patience they’re pretty simple to make. And when you click through to see the recipe you’ll see step by step pictures to help you!